Melo, Melo, Melo. Eh Eh Eh. As I have mentioned on this blog, I love the NBA. The playoffs started yesterday (04/16). But the real playoffs begins today. Why? Because Carmelo Kiyan Anthony is playing. Duh. 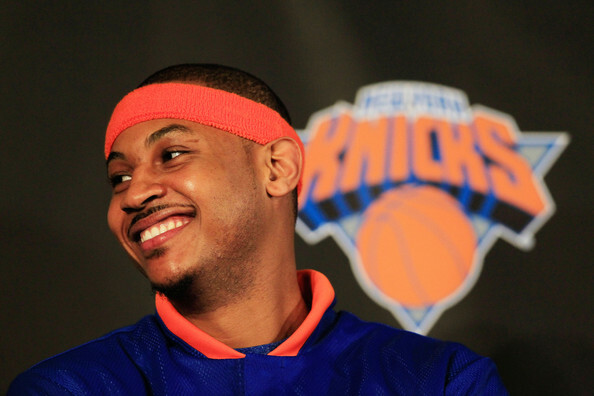 So, I dedicate this post to my one and only: Melo. Um...at least he's cute, pt 2. And what in hearty blazers does Lala got on? Eek. But really, I like a guy that knows how to dress. That is not afraid to look good. Hmmm...maybe I can be Melo's stylist. He needs one badly, that's for sure. How can I make this dream possible?! Have a great & blessed week...while looking fashionable!